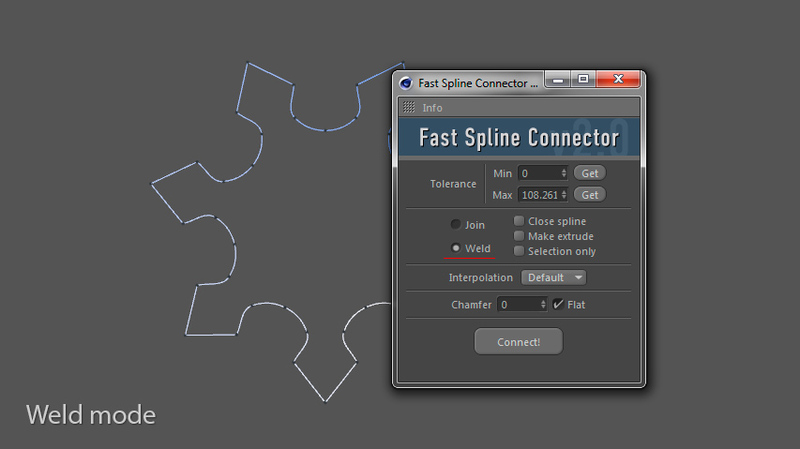 Connect segments into a single spline in Cinema 4D. Now dramatically faster! 1. Dramatically increased speed and stability. 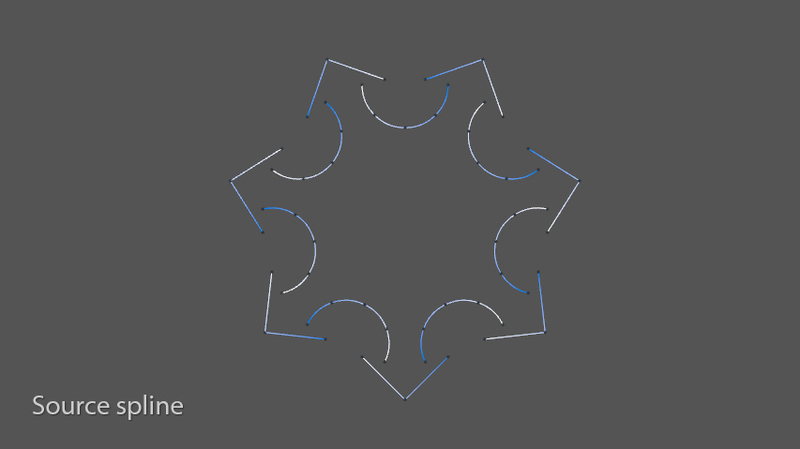 Mainly with splines with many segments. 2. To find points more accurately, tolerance parameter can now be adjusted with minimum and maximum values. 3. 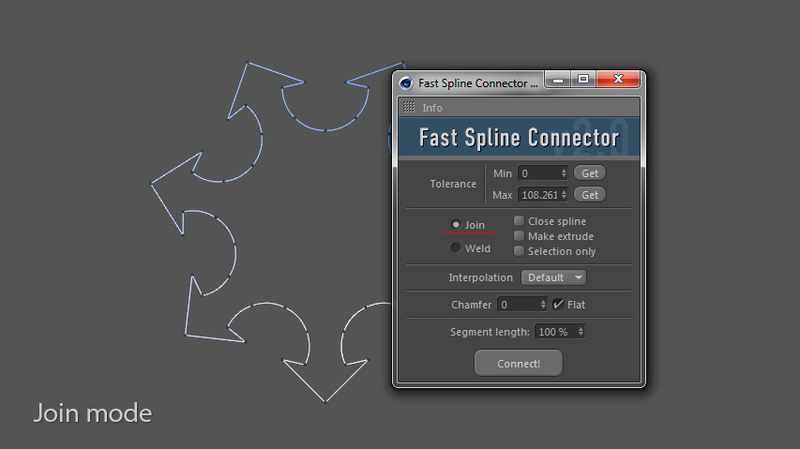 "Selection only" mode to connect selected points. 4. 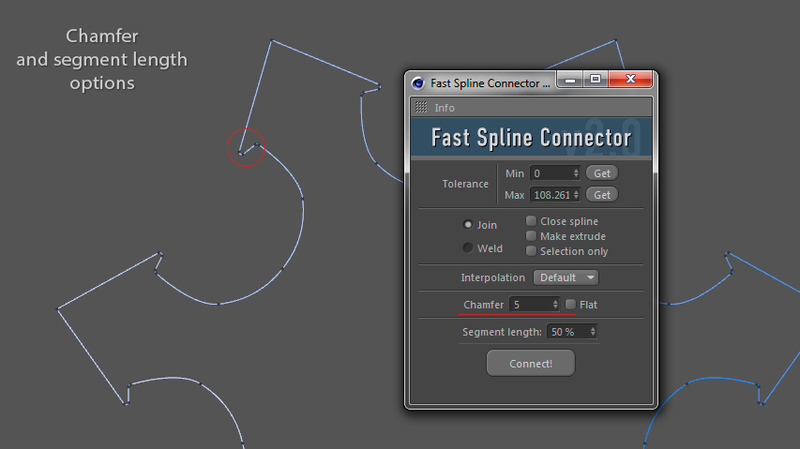 Now you can apply hard or soft interpolation for newly created points. 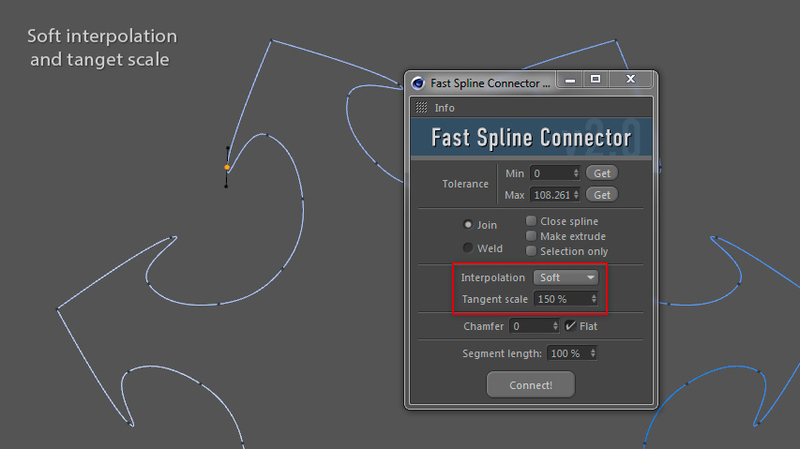 Tangent scale option for soft interpolation. 5. 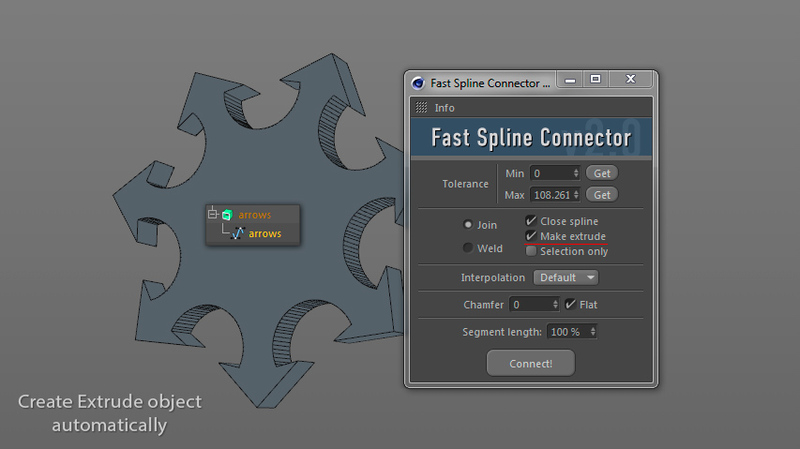 Chamfer effect for newly created points.